DANNY GOKEY’s album ‘Rise’ debuted at #1 on Billboard’s Top Christian/Gospel Albums Chart, #9 on the Top Current Albums Chart and #32 on the Billboard Top 200 Chart. His fourth studio album, Rise follows Danny’s latest studio album Hope In Front Of Me which also debuted at #1 and crossed 50 million cumulative U.S. streams today. Drawing from his own experiences with grief and adversity, the album offers a powerful message of hope and triumph. 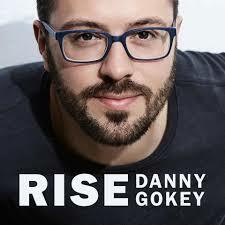 This entry was posted in Danny Gokey and tagged Danny Gokey, Hope in Front of Me, Rise by geoff83. Bookmark the permalink.